What a powerful painting. 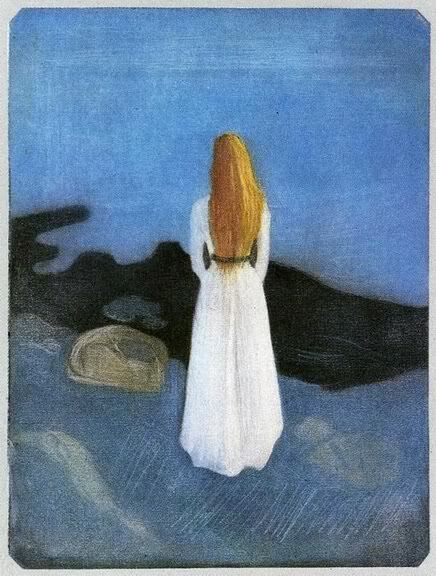 So simple, even the girl is not showing her face but we “feel” her fragility yet strong presence in this painting. The verticality has a uniqueness that is difficult for me to really put into words, but I would say it is real and at the same time ghostly, surreal... wow, amazing.